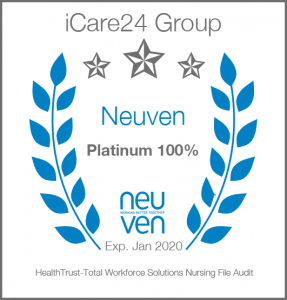 iCare24 Group have successfully achieved Platinum passes on our recent Nursing file audit and we have been awarded with Neuven Platinum Standard Rating. We continue to work within the NHS framework among others and are supplying staffing solutions to NHS Trusts throughout the country. 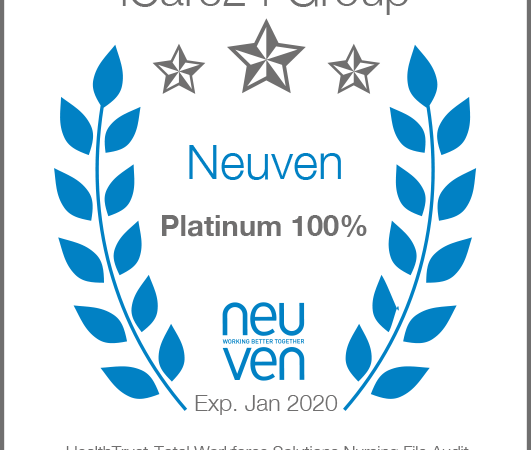 Not only did iCare24 Group pass the strict criteria, they were awarded Platinum standard, achieving 100% on the audit for their recruitment processes. To achieve this status for our processes formally recognises iCare24 Group’s continued commitment to compliance and vetting procedures and supplying quality staff to the NHS.